PLEASE NOTE: LOVECRAFTIANA IS NOW OPEN TO SUBMISSIONS AGAIN. Lovecraftiana is a quarterly publication from Rogue Planet Press, with issues coming out April 30th, July 31st, October 31st, and January 31st. 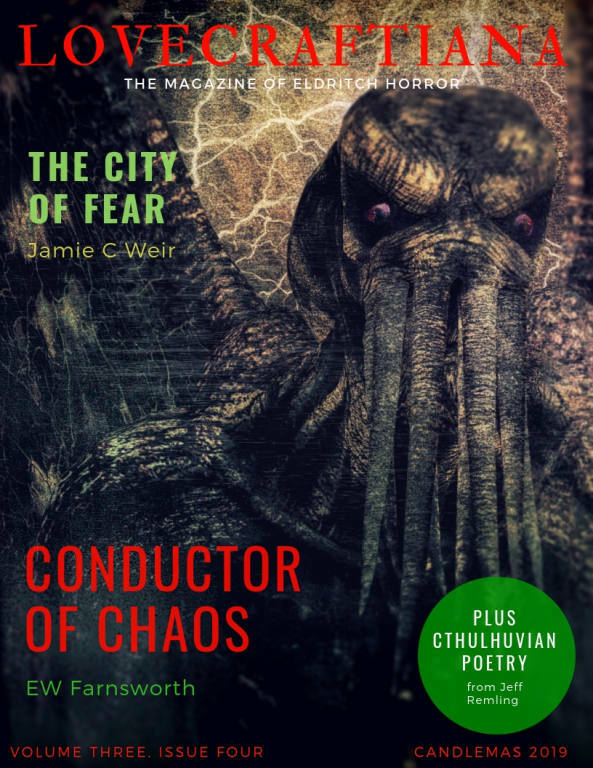 It features stories, articles, poetry or artwork on Cthulhu Mythos / Lovecraftian themes. 1. Stories / poetry / articles / artwork relating to Lovecraftian themes should be emailed as an attachment (.doc, .rtf .txt and .jpg formats) to rogueplanetpress@yahoo.com with 'Lovecraftiana submissions' in the subject line. Stories or articles should be no more than 9500 words long. We do not accept serialisations of longer stories. We do not require authors to include headers, footers or page numbers, but single spacing is preferable. Please include title and author name/pseudonym at the beginning of the story. 2. Payment is in exposure and royalties. Writers and artists retain their rights to their work if accepted for publication. 3. Unless it is already stated, we will only accept work which you have not previously sold or whose rights you haven't given away. Please inform us if your work has been published elsewhere, either in print or on the web. All work must be your own copyright, containing no plagiarism. It is the author's responsibility to seek permission from the copyright holder of any quoted material if currently in copyright. 4. Please be patient when waiting for a response. We aim to reply within a couple of days, but sometimes this isn’t possible. However, if we don’t get back to you after a week, feel free to submit your work elsewhere.